When comparing rates be aware that many rental quotes only include third party (TP), collision damage waiver (CDW) and theft cover (TC) and not fully comprehensive insurance cover. Discover here why there is a big difference in rental price of many major firms of about 80 Euros pw, and so avoid nasty surprises upon arrival to your destination airport. Additional drivers at no extra cost. Prices valid if arrival and departure times are similar otherwise an extra day is charged if extra hours' difference. Minimum Age of 25 years and possession of a driving license for at least 2 years. BOOK NOW & PAY UPON ARRIVAL - Complete the CAR HIRE BOOKING FORM, only after you have arranged your flights, for accurate price. Confirmation will be sent by email, then you collect the car at the airport and pay direct by either credit card or cash. 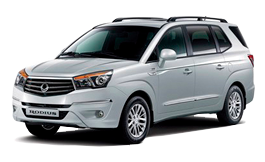 If you don't want a car for the whole period then we can arrange SELF-DRIVE CAR HIRE to get you from/to the airport/villa, upto 5 persons. ALICANTE 65 Euros, VALENCIA 75 Euros, each way: please request - afraid not available June-August inclusive. Although your rental includes 'Fully Comprehensive Insurance', the excess you’ll pay if the car is damaged, or stolen, will be anything from 250 Euros upwards, and you have to pay a daily rate to reduce it, if available. To avoid this you can buy a Europe-wide annual policy from Insurance4carhire.com. It costs £49 and indemnifies you against all excess charges for upto 31 days, for a whole year, so you can use it on multiple trips. Plus, it covers damage to tyres, windows and undercarriage – areas not covered by the rental companies’ policies. ALICANTE to MORAIRA/CALPE, 105 Euros + motorway toll, for upto 4 persons. VALENCIA to MORAIRA/CALPE, 135 Euros + motorway toll, for upto 4 persons. For over 4 persons then try below companies. 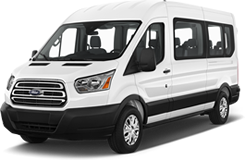 BENICONNECT - operates a shuttle service from Alicante airport to various points along the Costa Blanca. ALICANTE PRIVATE TRANSFERS - operates a private taxi service from Alicante airport directly to your villa. Here are some proven tips to save you money and hassle when you next rent a car. Fully comprehensive insurance includes CDW and theft cover within the price. Note that insurance cover with all rental firms has an excess amount you should be aware of: see below for excess waiver protection. Third party insurance does not protect you fully, so you will normally be asked for a large deposit at the check-in desk, unless you pay a charge of around 60-85 Euros pw to upgrade to fully comprehensive cover. Print the rate and package to take with you to your destination. 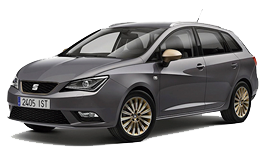 Fully comprehensive insurance in Spain covers the car regardless of who is driving, so you should not have to pay more to add a driver to the form. This is inclusive with fully comprehensive cover, though some firms charge £21 per extra driver. Drivers under 25 can be penalised with extra charges per day. Your car rental should include this and so there should be no extra charge. 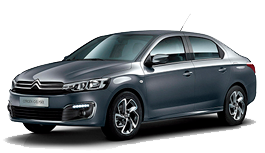 Some agents (see Car Hire Forum) suggest strongly that you need it and a charge of around 35 Euros is made. Every hirer is responsible should damage occur to the vehicle, and would be obliged to pay the excess insurance cover, particularly if you damage the undercarriage and the wheels, so be sure to know what this excess sum is before hiring the car. If you take out an excess waiver, with say Insurance4carhire.com, then take this policy with you and state firmly to the clerk that you are protected and do not need any indemnity cover. In the event of an accident you would pay the hire rental firm the excess and then claim back from the insurance company. Such a Europe-wide annual policy costs around £50 a year and indemnifies you against all excess charges. Plus, it covers damage to tyres, windows and undercarriage – areas not covered by the rental companies’ policies. What's the rule on fuel charges? Clarify the rule on fuel charges before you book. Many rental firms have a policy for you to leave the tank empty, so if you cannot use all the fuel during your holiday you are effectively gifting the car hire firm fuel since you have been charged for it. Some firms will ask you to return the car with the tank full, but beware there is no penalty should a litre or so be used between the fuelling station and airport, since some charge 30 Euros as a penalty. Ideally you want to replace the fuel used to the same level on the gauge as when you picked up the car, or a repayment policy for unused fuel. On a full/empty policy, consider that each car manufacturer advises in their guide of the amount of fuel each models tank holds. Have you ever attempted to run any car dry and then actually try to fill it with the manufacturer’s published fuel capacity? Well, it’s impossible owing to the 5-10 litres of residue in the tank, as you can never actually put that amount of fuel in the car. So, when you leave the car empty, you will have been charged for all the fuel to the manufacturer’s stated guide level, and the car hire firm pockets the charge for the 5-10 litres remaining in your tank. But, whatever the fuel policy, check the fuel gauge before exiting the car hire compound. Extras such as Baby seat, sat/nav, snow chains and roof racks. Check if there is an extra charge and what it is. With some local rental firms, like above, there is no extra charge for a baby seat, whereas some firms charge £21 per seat. Some firms charge a 30 Euro fee for priority collection of your car. Possibly as a result of long queues of people complaining about the additional insurance charges. See Car Hire Forum, just in case you thought it was a joke. Always check around the vehicle and ensure that any dents are noted. Note what is said about insurance and indemnity cover. Brokers like Holiday Autos and Car Trawler link to numerous rental firms, so be sure to get everything in writing or cancel your booking. Broker agents such as Car Trawler are linked to 500 car rental firms which, I may add, shows to offer low rates but again most only give third party cover and not fully comprehensive cover. Be aware that excess waiver with such firms is limited to £2,500 for the payment of a premium. See Car Hire Forum) that shows third party cover with Gold Cars. Hertz call their full cover Super Cover, which adds 110 Euros on a 116 Euro weekly booking for a small car (see Car Hire Forum). Personal cover for an extra 55 Euros. 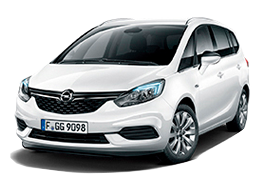 Apart from shopping around to get a comparable price it can pay to get one from a reputable local car hire firm that actually has a garage and owns vehicles too such as Rent a Car Giner in Benissa, although you may find it easier to view pricing above. 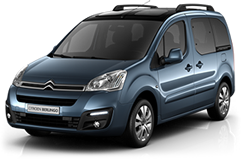 Includes Fully Comprehensive insurance and a fuel policy of leaving at same level as collection, so no loss to hirer. •	Clarify when booking that there is a reception desk either in the arrivals hall or within the car park compound. Do not be dependant on awaiting the someone holding up your name who may or may not be present upon your arrival, thus forcing you to have to chase up with a phone call. •	If you intend driving a lot consider a diesel car, as diesel is much cheaper in many countries. •	When you get the keys to the car do double check the listed scrapes and dents, to ensure no charges apply upon your return. Check that a spare wheel and jack are present. •	For security it is better to remove any obvious signs (stickers) that the car is a hire car, since many thefts occur when people are identified as short stay visitors. •	Ensure you take your driving licence with you (include plastic and paper one).